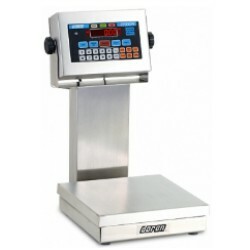 Store, recall, and weigh with the Doran Scales 2200CW database. This internal database will store up to 250 Checkweigh Tolerances, Tare Weights, Accumulation and Counter totals, and six-digit Product IDs. Recalling a product from the database is as simple as pressing the PROD button and entering the ID. When it comes to stainless steel over/under checkweighing scales, many of our customers choose Doran Scales. Lots of folks remember the old 4200 from Doran, in fact many of those are still being used by customers. Doran built the 2200CW scale utilizing all their experience they have obtained over thirty years of designing and building stainless steel scales. The result is an exceptional checkweigher that is available from your friends at Central Carolina Scale, an authorized Doran Scales dealer. Store, recall, and weigh with the 2200CW built-in database! This internal database will store up to 250 Checkweigh Tolerances, Tare Weights, Accumulation and Counter totals, and six-digit Product IDs. Recalling a product from the database is as simple as pressing the PROD button and entering the product ID. Adding new products or maintaining existing products is quickly accomplished through the keypad or through the optional CheckWay Windows™-compatible software. The data is password-protected to ensure that your products are checkweighed properly every time. Handwritten production records to track weighments or accumulated weight are a thing of the past with the 2200CW Digital Weight Indicator. The counter memory stores the number of weighments. Recalling the accumulated weight at the end of a pallet load of product or at the end of the shift is as simple as pushing a button. Store, recall, and weigh with the built-in 250 product database. The internal database will store up to 250 checkweigh tolerances, tare weights, accumulator and counter totals and a description field by a six digit Product ID. Adding new products or maintaining existing products are quickly accomplished through the keypad or by using Doran's innovative CheckWay scale configuration software. The easy to use full function keypad allows for simple entry of digital tare, time and date, accumulator, eight product IDs, setpoint outputs, grade values, and over, under, and accept values. Standard software features such as programmable data communication, product grading, peak hold, multiple ID numbers, accumulator, and counter, give you the power to effectively monitor your manufacturing process. Connect, control, and communicate to any device or computer with the two standard RS-232 ports, eight standard outputs, two standard inputs, or a wide range of communication options. 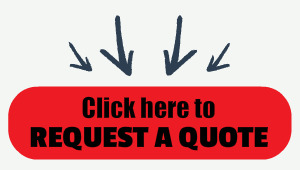 Connect with our wired Ethernet, Wireless Ethernet, Modbus/TCP, USB, 4-20mA, RS-485, or Fiber Optic options. Compatible with Doran's Excelerator data collection software. Platform: 10" x 10", 12" x 12" or 15" x 15"
22050CW/12 50 x .01 22.7 x 5g 800 x .2 12" x 12"